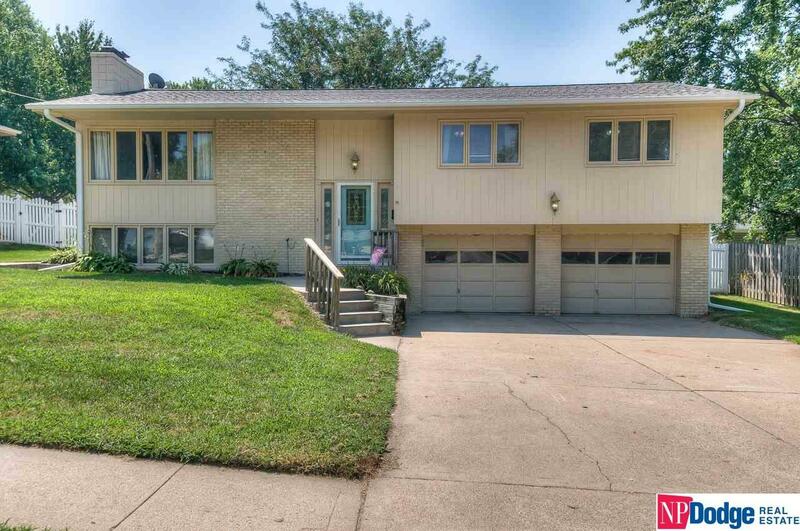 Popular Papillion Neighborhood!! Lots of footage for the money. Wood floors on main floor and new carpet in basement. Kitchen with lots of cabinets and large rooms. Some minor touches can make a big difference. Large garage. Private patio area and fenced yard and large utility shed. Walk to schools and water park!